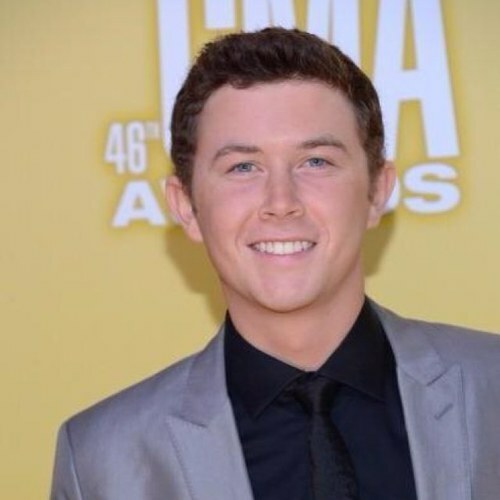 Scotty McCreery‘s life changed in 2011 when he was crowned the winner of American Idol. 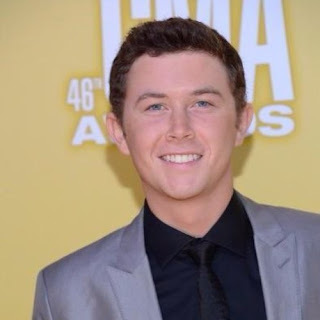 But that was just the beginning for this ambitious 19-year-old North Carolina native – since then Scotty has been busy touring with the likes of Brad Paisley, recording a holiday album and cooking up a partnership with one of his favorite restaurants. Celebrity Teen Scoop talked exclusively with Scotty to find out what he’s been doing since his big AI win and got the details on how he came to team up with popular Southern eatery Bojangles – apparently it wasn’t for his culinary skills! Celebrity Teen Scoop: Congratulations on all of your success since winning American Idol! What has life been like since that amazing moment? Scotty: Life has been crazy and nonstop. I’ve gotten to go around the country and I’ve been able to see all kinds of places and do all kinds of different shows. I’ve loved it; it sure has been fun! CTS: Now you’re teaming up with Bojangles restaurant. Tell us a little bit about this partnership. Scotty: I’ve had a partnership with them for my whole life, the just don’t know it. [laughs] I love their fried chicken, and I’m lucky that they asked me to come along and support them. It’s really cool partnership, because I eat there weekly. CTS: The restaurant is known for its Southern classics. What are some of your favorite Southern dishes? CTS: Do you do a lot of cooking of your own? What’s the Scotty McCreery special? Scotty: I wouldn’t really call myself the best cook at all. [laughs] On [American Idol] we got to go on Hell’s Kitchen and we had to make an omelette. Chef Ramsey tore my dish apart before he ate it because it looked so bad. In regard to any special Scotty McCreery dish, I would say mac n’ cheese or clam chowder. [laughs] I don’t really cook. CTS: You’re just coming off the ‘Virtual Reality Tour 2012′ with Brad Paisley. Can you share some highlights with our readers? Scotty: The tour itself and having the chance to perform with Brad Paisley was the highlight. There was a time when we were in Denver when Tim Tebow was still the quarterback of the Broncos. Tim came out to the show and went onstage during Brad’s set. That was fun. Carrie Underwood also went to the show in Nashville, which was really cool. I also had a lot of people from my hometown come out to that Nashville show, as it was one of the closer shows we had. That was definitely a great time. CTS: We hear you’re continuing your studies at NC State University. How do you juggle performing, appearances and hitting the books? Scotty: I just kind of do it, you know? My class schedule right now is just Monday and Wednesday. We hit the road on Thursday, Friday, Saturday, and Sunday. Right now it is a really cool balance and things are working out great. As long as it keeps on working out, I’ll keep on doing it. CTS: You have a new holiday album dropping soon, ‘Christmas With Scotty McCreery.’ Give us a sneak peek of what we’ll be hearing. Scotty: It’s out right now, so if you all want to hear it, you can go out and get it! The album has your main classics; it has nine holiday classics like ‘Let It Snow’ and ‘Holly Jolly Christmas’, as well as religious ones like ‘O Holy Night’ and ‘First Noel’. It also has a couple original songs too– one called ‘Christmas Is Coming Around Again’ and another one called ‘Christmas In Heaven’, which is my favorite on the album. It’s got some cool tastes and is definitely a great album, I’d say. CTS: Besides music, what do you love doing in your free time? Scotty: I’m kind of a sports dude, so I’ll go out and play ball or go golfing. If I actually have free time I’ll just sit down and relax, because on the road there is not a whole lot of time for that. Whenever I get the chance to relax, I definitely do. I played baseball all the way through high school, so baseball is my number 1 sport, then basketball and football. I enjoy watching those sports, too. CTS: Any words of advice for American Idol hopefuls out there? Scotty: The thing I always tell them is to just be unique. A lot of people say, “Don’t be nervous,” but that is not realistic; everyone is going to be nervous. Just go out there and be unique, show off what’s different about you. The judges see thousands of different singers and you only have a few seconds, so you have to show off. Be ready. CTS: What exciting things can your fans expect from you in 2013? Scotty: The fans can expect new music; we are going to be working on a new album and new songs. Other than that, we are going to be doing a theater tour as well. We will be all over like we were in 2012! I do enjoy every interview with Scotty because of Scotty. But at the same time I really wish those interviewers would be more inventive instead of asking him the same questions over and over again. HDD REPORTING 60% IN $5651.00.I just left walmart no cwcm on selves they have sold out.If they do not keep these stores supplied he can not sell not every one orders off internet.With black friday the selves should be full people will buy then. Golly, on the one hand its nice to see Scotty's album sold out. I agree, they really need to keep more in stock especially now! I've run into the same (sold out) problem at my Walmart store! Didn t we have the same problem last year when they were slow to restock CAD? One should think they would have learned to do better by now. I don ´t know why HDD comes up with the same number whether it´s 32 % or 60%. But we saw the same pattern the last times and then we saw quite a jump when finals come in. Please play his christmas songs, radio people. He is awesome! What does it mean by 'theater tour'? Chris Young and Josh Turner do many of these . its small venues like up to 5000.00 people . the one in lancaster PA that i went seats 2000.00 . people have memberships to these . i bought a membership so i could get the seats i want . i like these small venues grat seats at a graet price . HDD FINAL. Scotty´s CWSM sold another 22,692 albums with an increase of +9%. Just read that Scotty turned his show at the Beacon Theater into a benefit Hurricane Sandy relief. Also He has invited Pia Toscano to join him. HI EVERYONE . REGARGING SCOTTY'S GAC SPECIAL, KEEP IN MIND THE TV TIMES SHOWN THEY ARE EASTERN TIME ZONE. I LIVE HERE IN PORTLAND, OREGON SO I AM IN THE PACIFIC TIME ZONE SO THEY ARE ON 3 HOURS EARLIER. Scotty is such a humanitarian for someone his age. That is awesome! Nice of him to invite Pia.! I agree with you Mac he is heart of gold and I love him so cause he's Sweetheart so,so,much. and in so many ways he is so special I cry alot cause he is. sometimes when I am sitting and doing nothing he will come to my mine and I will start crying. cause he does not forget his fans at all cause we are so special to him,and also his idol mates,family. LOVE YOU SO MUCH SCOTTY. Such a nice kid.He always wants to give back you do not find that in a kid his age.Love you Scotty!